Includes the names: Harlan Elison, Ellison Harlan, Harlan Ellison, Harlan Eliison, Harlam Ellison, Harlan Ellison, Harlan Ellsion, Harian Ellison, Harlan Ellision, Harland Ellison ... (see complete list), Haralan Ellison, Harlan zzz-Ellison, ed. Harlan Ellison, Harlan Ellison ed., Harlon (Ed) Ellison, Harlan (ed) Elllison, Haraln Ellison editor, הרלן אליסון, Harlan Editor Ellison, Harlan Ellison: Zien., editor Harlan Ellison, Harlan Ellison SIGNED, Edited By Harlan Ellison, Harlan Edited by Ellison, Harlan: Edited By Ellison, ハーラン・エリスン, H. Ellison: Slapende honden. In 2005, Harlan Ellison filed for a trademark with the US Patent and Trademark office. Officially, Harlan Ellison® is a registered trademark of The Kilimanjaro Corporation. "One of the most influential anthologies of all time returns to print, as relevant now as when it was first published. Anthologies seldom make history, but Harlan Ellison's 1967 collection of science fiction stories is a grand exception. Along with Moorcock's NEW WORLDS, it defined the New Wave movement. Dangerous Visions set an almost impossibly high standard, as more than a half dozen of its stories won major awards-not surprising with a contributors list that reads like a who's who of 20th-century SF." Wendy Reed, author of An Accidental Memoir: How I Killed Someone and Other Stories, will read from and talk about her new work on Tuesday, November 5, at 4:00 p.m. at Pebble Hill. In An Accidental Memoir, Reed explores a succession of personal tragedies in a collection of deliberately fragmented essays. Told from unusual perspectives and in highly figurative language, the essays draw on the Southern Gothic tradition of Flannery O’Connor and feature dark humor, flawed people, disastrous events—including a car accident in which Reed was involved that took another woman’s life—and moments of spiritual grace. Taken together they become a meditation on subjects such as death, work, family responsibilities, and raising a child. Wendy Reed has received writing fellowships from the Alabama State Council on the Arts and Seaside Institute and has published in various anthologies, magazines and newspapers. She also co-edited All Out of Faith and Circling Faith with Jennifer Horne. Reed produced and directed numerous documentaries and the series “Bookmark” with Don Noble at the University of Alabama Center for Public TV & Radio, and for her work with “Discovering Alabama” she received two Emmys. She has three children and lives in Waverly, Alabama. Harlan Ellison's book Shadow Show was available from LibraryThing Early Reviewers. Harlan Ellison is currently considered a "single author." If one or more works are by a distinct, homonymous authors, go ahead and split the author. 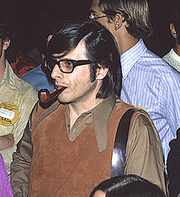 Harlan Ellison is composed of 31 names. You can examine and separate out names.